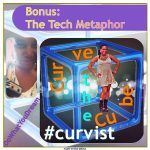 Welcome to episode #107 of Curve the Cube–the podcast where dreamers become doers! I am your host, Jaime Legagneur of the Flint Stone Media Podcast Network. I’m probably the last person to tell you this, but HAPPY NEW YEAR!! It has been SOOO long since I’ve been able to bring my voice to you guys, and oh how I have missed you so much!! 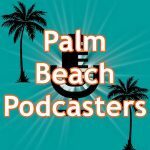 I LOVE bringing you podcasts and helping others podcast; but, I had to put it all aside for a little while, and on this episode, I tell you why. I also recap 2016 and highlight some of the lessons, guests, and issues that made 2016 so fun, special, and insightful. These guests really motivated me to further curve my own cube, and I go over some of the milestones I experienced this year in my own business and passion projects. In looking ahead to 2017, I share so many bits of exciting news, I can hardly handle it!! But, it’s all so great–from the inspiring guests I’ve already booked to some fun things I have planned for podcasting. So, buckle in with me for this wild ride I feel like we are all hitched into called 2017. Go from being a dreamer to being a doer. Remember to find you passion and do your thing with the Curve the Cube podcast! !